You'll discover tucked-away gems like Magic Fountain (Font Magica) and Room Escape Games. Kids will appreciate attractions like Basilica of the Sagrada Familia and Casa Mila - La Pedrera. There's lots more to do: walk around Parc Guell, admire the striking features of Basilica de Santa Maria del Mar, appreciate the extensive heritage of El Barri Gòtic, and pause for some photo ops at Casa Batllo. To find maps, ratings, more things to do, and tourist information, go to the Barcelona day trip planning app . Sao Paulo, Brazil to Barcelona is an approximately 14.5-hour flight. You can also do a combination of bus and flight. You'll lose 4 hours traveling from Sao Paulo to Barcelona due to the time zone difference. Expect slightly colder weather when traveling from Sao Paulo in October: highs in Barcelona hover around 26°C, while lows dip to 18°C. Cap off your sightseeing on the 22nd (Tue) early enough to travel to Oia. Kick off your visit on the 23rd (Wed): get great views at Sunset in Oia, then take in the architecture and atmosphere at Orthodox Metropolitan Cathedral, then get a taste of the local shopping with MATI Art Gallery, and finally enjoy the sand and surf at Perissa Black Sand Beach. On the next day, learn about winemaking at Santo Winery, stroll through Hiking Trail Fira - Oia, and then look for gifts at Aquamarine Jewelry. To find photos, ratings, where to stay, and more tourist information, you can read our Oia trip itinerary maker app . Traveling by flight from Barcelona to Oia takes 8 hours. Alternatively, you can do a combination of car and ferry; or do a combination of bus and ferry. Traveling from Barcelona to Oia, you'll lose 1 hour due to the time zone difference. In October, daily temperatures in Oia can reach 27°C, while at night they dip to 20°C. Wrap up your sightseeing on the 24th (Thu) early enough to travel to Athens. 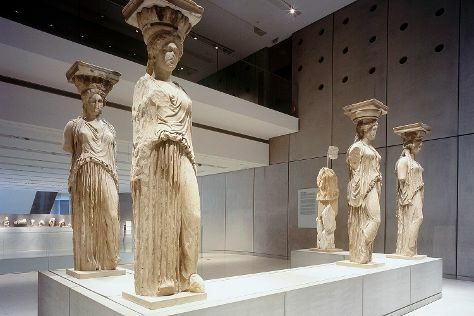 Kick off your visit on the 25th (Fri): get engrossed in the history at Acropolis Museum and then delve into the distant past at Acropolis of Athens. On the 26th (Sat), you'll have a packed day of sightseeing: explore the world behind art at National Archaeological Museum and then wander the streets of Plaka. To find ratings, other places to visit, photos, and other tourist information, refer to the Athens online driving holiday planner . Getting from Oia to Athens by flight takes about 4.5 hours. Other options: do a combination of ferry, car, and flight; or ride a ferry. In October, daytime highs in Athens are 28°C, while nighttime lows are 18°C. Finish up your sightseeing early on the 26th (Sat) so you can travel to Rome. Start off your visit on the 27th (Sun): contemplate the long history of Colosseum, delve into the distant past at Palatine Hill, then don't miss a visit to Roman Forum, and finally make a trip to Trevi Fountain. Here are some ideas for day two: make a trip to Pantheon, admire the masterpieces at Vatican Museums, then take in the architecture and atmosphere at Santa Maria in Trastevere, and finally take in the architecture and atmosphere at Church of St. Louis of the French. Plan my Rome trip by asking Inpirock to come up with tips and suggestions. Getting from Athens to Rome by flight takes about 5.5 hours. Other options: do a combination of flight and train; or take a bus. Due to the time zone difference, you'll gain 1 hour traveling from Athens to Rome. Traveling from Athens in October, you can expect nighttime temperatures to be slightly colder in Rome, with lows of 15°C. Finish up your sightseeing early on the 28th (Mon) so you can catcht the bus to Perugia. Though it features Etruscan defensive walls and a medieval town center, Perugia is perhaps best known for its fine chocolate and annual chocolate festival. Attractions like Wild Foods Italy and Parco Regionale di Colfiorito make great kid-friendly stops. Eschew the tourist crowds and head to Basilica inferiore di San Francesco d'Assisi and Centro Storico. Get out of town with these interesting Perugia side-trips: Cantina Sportoletti (in Spello), Mura e Torri del Borgo di Corciano (in Corciano) and Lungolago (in San Feliciano). There's still lots to do: head outdoors with La Spiaggia di Pippo sul Trasimeno and contemplate in the serene atmosphere at Basilica di Santa Maria degli Angeli - Porziuncola. For more things to do, where to stay, reviews, and tourist information, use the Perugia trip itinerary planner . Getting from Rome to Perugia by bus takes about 2 hours. Other options: drive; or take a train. October in Perugia sees daily highs of 24°C and lows of 12°C at night. Wrap up your sightseeing on the 31st (Thu) to allow time to drive to Verona. Kick off your visit on the 1st (Fri): explore the historical opulence of Museo di Castelvecchio, wander the streets of Piazza delle Erbe, then make a trip to Piazza Bra, and finally experience the emotional art of opera at Arena di Verona. Here are some ideas for day two: get to know the fascinating history of Borghetto sul Mincio and then admire nature's wide array of creatures at Parco Natura Viva. To see other places to visit, reviews, photos, and other tourist information, you can read our Verona travel itinerary planner . You can drive from Perugia to Verona in 4 hours. Alternatively, you can take a train; or take a bus. In October, plan for daily highs up to 22°C, and evening lows to 11°C. Wrap up your sightseeing on the 2nd (Sat) to allow time to drive to Venice. Start off your visit on the 3rd (Sun): contemplate the waterfront views at Canal Grande, then don't miss a visit to Basilica di San Marco, then take in the views from Ponte dei Sospiri, and finally admire the landmark architecture of Doge's Palace. Get ready for a full day of sightseeing on the 4th (Mon): take in the local highlights with Walking tours, then take in the views from Ponte di Rialto, and then get to know the fascinating history of St. Mark's Square. To see reviews, ratings, photos, and tourist information, read Venice trip planner . Getting from Verona to Venice by car takes about 1.5 hours. Other options: take a bus; or take a shuttle. In November, plan for daily highs up to 15°C, and evening lows to 7°C. Finish up your sightseeing early on the 4th (Mon) so you can travel to Paris. Start off your visit on the 5th (Tue): appreciate the history behind Arc de Triomphe, then contemplate the long history of Eiffel Tower, then step off the mainland to explore Île de la Cité, and finally admire the striking features of Cathédrale Notre-Dame de Paris. Get ready for a full day of sightseeing on the 6th (Wed): pause for some serene contemplation at Basilique du Sacre-Coeur de Montmartre, then don't miss a visit to Place de la Concorde, and then admire the masterpieces at Louvre Museum. 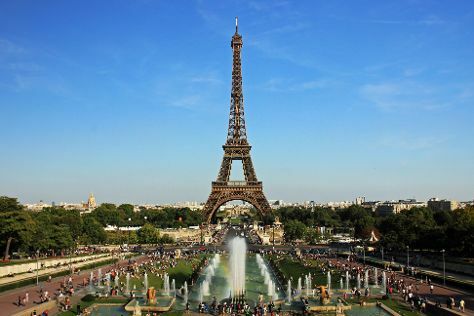 To find photos, more things to do, other places to visit, and more tourist information, refer to the Paris trip maker tool . Fly from Venice to Paris in 5 hours. Alternatively, you can do a combination of flight and train; or drive. When traveling from Venice in November, plan for a bit cooler days and about the same nights in Paris: temperatures range from 12°C by day to 6°C at night. Wrap up your sightseeing on the 6th (Wed) to allow time to take a train to London. You'll visit kid-friendly attractions like Tower Bridge and Natural History Museum. Step out of London with an excursion to Royal Pavilion in Brighton--about 1h 40 min away. And it doesn't end there: take in the architecture and atmosphere at St. Paul's Cathedral, stroll around St. James's Park, explore the historical opulence of Buckingham Palace, and take in panoramic vistas at Coca-Cola London Eye. To find reviews, maps, where to stay, and other tourist information, read our London trip itinerary maker . Take a train from Paris to London in 2.5 hours. Alternatively, you can fly; or drive. Traveling from Paris to London, you'll gain 1 hour due to the time zone difference. In November in London, expect temperatures between 13°C during the day and 5°C at night. On the 11th (Mon), you're off tohome.